High School and Middle School robotics teams from Virginia and Maryland compete to win a place at the FIRST Tech Challenge State Championship Sponsored by ECPI University at Atlee High School in Mechanicsville on February 2, 2019. Competitions are fast-paced, fun, full of music and cheering fans. With FIRST Tech Challenge, middle and high school student teams design, build, and program robots to meet a complex engineering challenge, then compete head-to-head against other teams in a high-tech sporting event. 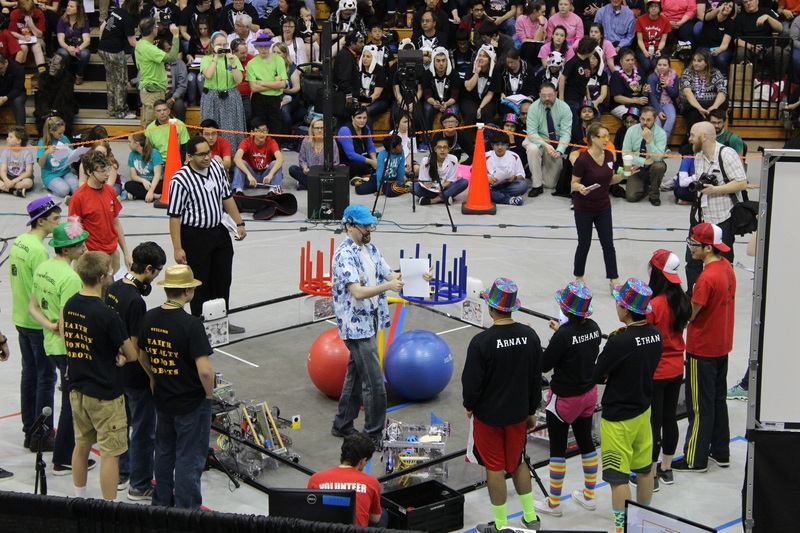 With the guidance of adult coaches and mentors, teams build their robots and develop a playing strategy, which includes forming alliances with other teams. Teams earn awards for robot design, creativity, documentation, community outreach, “gracious professionalism” and competition on the field.